You probably aren’t aware of this, but the traffic data you are getting on your applications such as mapSYNC, Google Maps and Traffic Live is provided by Quantum Inventions, a small but clearly dynamic start-up founded right here in Singapore. Its CEO and co-founder of Quantum Inventions, Saurav Bhattacharyya, is a former Nanyang Technological University researcher who got his start at the university’s Centre for High Performance Embedded Systems. Quantum Inventions’ most notable accomplishment is perhaps the Galactio navigation software, used in cars’ Global Positioning System navigation devices. 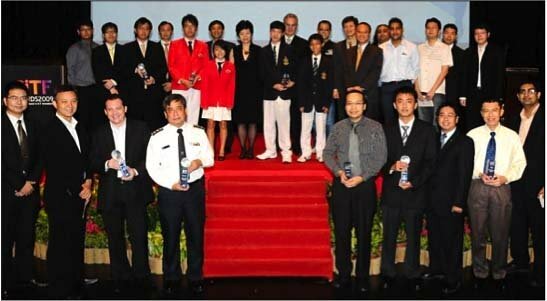 Launched in 2010, Galactio is now one of the top two navigation softwares in Singapore. Convinced that Galactio can survive among navigation’s big boys overseas, 34-year-old Bhattacharyya is hoping to take it worldwide, telling The Straits Times that the firm has begun a partnership in Thailand and is actively in talks with potential partners in Indonesia, the Philippines, Sri Lanka, the Middle East and Latin America. Copyright © 2005 - 2017, Quantum Inventions Pte Ltd. All rights reserved.